Custom T-shirt Design for the Reiss 1971 and Dazed Digital collaboration. 1971 REISS SS10 CAMPAIGN FILM - Watch now! 1971 Reiss new capsule collection from high-end, high street boutique Reiss. Dazed Digital ran an illustration project. 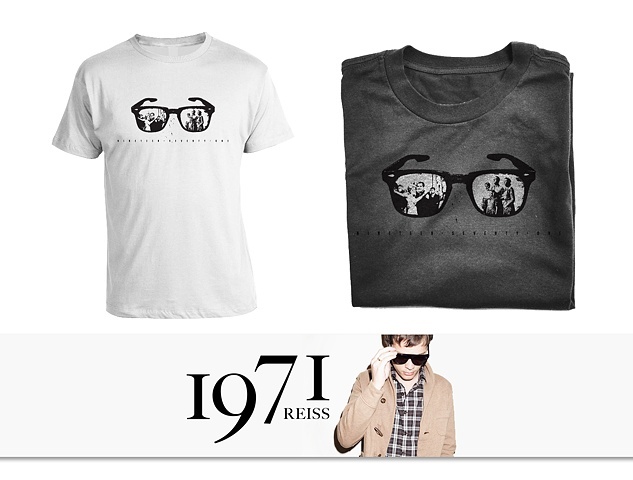 Together with Reiss was launched a t-shirt design competition that was to be the perfect counterpart to its 1971 jeans. This Collection marks the year Reiss was founded. An exciting debut of Reisss new 1971 denim-led collection. Guaranteed to inject a casual, yet high fashion edge to any wardrobe.